Joyce Orr has outlined her experience of the Scottish Housing Regulator’s Regulatory Framework Review so far. 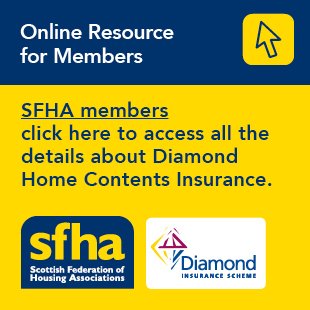 Joyce Orr - Director of Pineview Housing Association, SFHA Board Director, and GWSF member - has outlined her experience of the Scottish Housing Regulator’s Regulatory Framework Review so far in an article published on the SFHA website. Joyce has played an active role in both the SHR’s Working Group and the SFHA’s Regulatory Sounding Board. In the article, she describes the discussion process undertaken with SHR, and teh shared desire of all parties to ensure a system of regulation that is "fit for purpose; proportionate; easily understood and meets the needs of tenants and customers, the SHR and RSLs." To read the article in full, please visit the SFHA website. If any SFHA members would like to discuss the review process with SFHA, please contact SFHA Policy Lead Alan Stokes at astokes@sfha.co.uk.